README files play an essential role in shaping a developer’s first impression of a software repository and in documenting the software project that the repository hosts. Yet, we lack a systematic understanding of the content of a typical README file as well as tools that can process these files automatically. To close this gap, we conduct a qualitative study involving the manual annotation of 4,226 README file sections from 393 randomly sampled GitHub repositories and we design and evaluate a classifier and a set of features that can categorize these sections automatically. We find that information discussing the ‘What’ and ‘How’ of a repository is very common, while many README files lack information regarding the purpose and status of a repository. Our multi-label classifier which can predict eight different categories achieves an F1 score of 0.746. To evaluate the usefulness of the classification, we used the automatically determined classes to label sections in GitHub README files using badges and showed files with and without these badges to twenty software professionals. The majority of participants perceived the automated labeling of sections based on our classifier to ease information discovery. 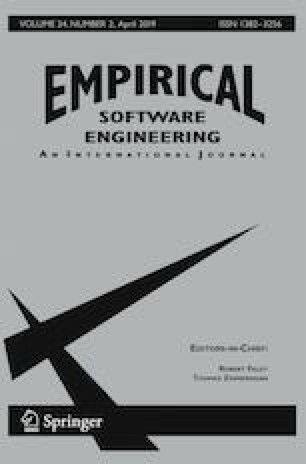 This work enables the owners of software repositories to improve the quality of their documentation and it has the potential to make it easier for the software development community to discover relevant information in GitHub README files.